A neighborhood community band for amateur musicians who have always wanted to play with others in a friendly atmosphere. All instruments welcome, minimal ensemble experience required. 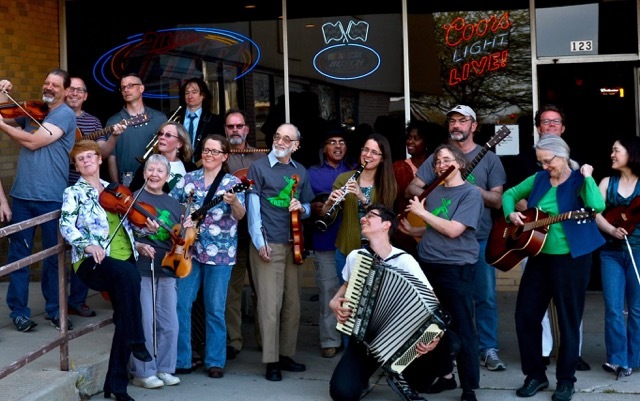 Repertoire includes fiddle tunes, tangos, Hungarian dances, Hendrix, and more. Early spring session: January 20 – April 14, 2019. No rehearsal March 17. Snow day April 28. Late spring session: May 5 – June 9, 2019. Contact us if you are interested in late registration.